Betsy Ashton, born in Washington, D.C., was raised in Southern California, where she ran wild with coyotes in the hills above Malibu. She is the author of the Mad Max Mystery series, including Unintended Consequences, Uncharted Territory, and Unsafe Haven. Her stand-alone serial killer psychological suspense novel, Eyes Without A Face, was published in late 2017. 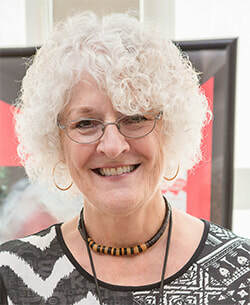 Her short stories and poetry have appeared in several anthologies including 50 Shades of Cabernet, Candles of Hope, and Reflections on Smith Mountain Lake. She is the past president of the state-wide Virginia Writers Club. She loves riding behind her husband on his motorcycle. You'll have to decide for yourself if and where she has a tattoo. Visit her website at www.Betsy-Ashton.com.